We stock a range of products for your new kitchen including Melamine cabinets, and Formica, Composite and Granite tops. If you have any questions about our products, please read through our Questions and Answers or simply give us a call to find out more. 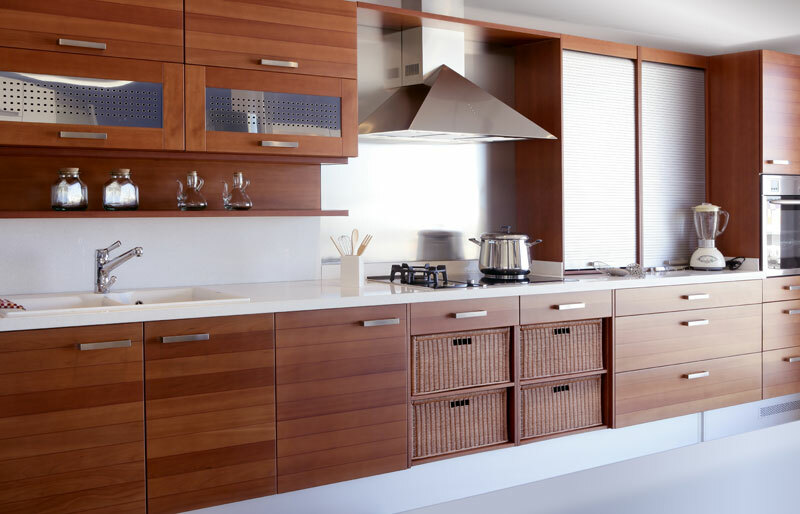 Absolute Kitchens has a range of products for your new or renovated NZ kitchen including quality kitchen benchtops and cabinets to suit any home design. Our Melamine kitchen cabinets are a stylish and cost-effective choice for your kitchen. Find out more . A PVC foil wrap in 4 different series and full painted range of finishes are available on request. Our beautiful Formica kitchen benchtops offer a great combination of functionality and affordability. Find out more . Granite tops are ideal for a superior look and finish to your kitchen. Find out more . Our Composite benchtops are available in a range of colours and finishes to suit any NZ kitchen. Find out more . Whether you need a brand new kitchen, or a kitchen renovation, Absolute Kitchens can design, manufacture and install a custom Auckland kitchen for you. We can also supply and arrange installation of quality kitchen appliances, or you can arrange this yourself if preferred. Please contact us to arrange your free in-home consultation and quote.